While choosing a storage unit seems like a fairly straightforward process, there are things you should take into consideration before placing your belongings in a unit. Making a decision on a storage facility is something that shouldn’t be done without a little research. 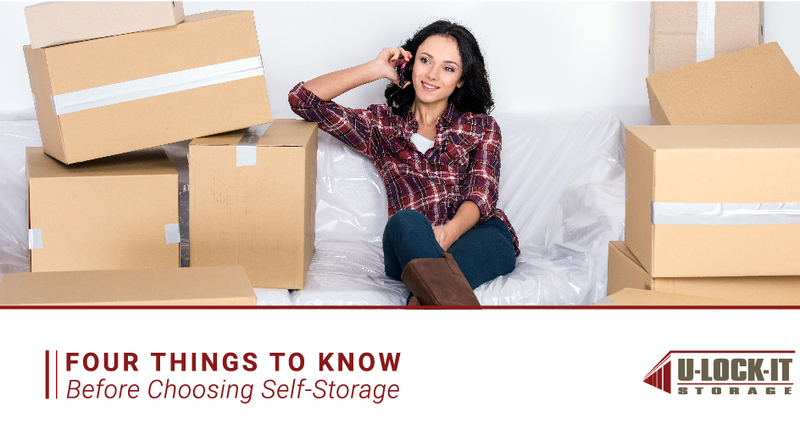 Below are four things you should know about self-storage. There are no two storage unit facilities that are exactly alike. Even multiple storage unit facilities under one company can have an array of differences. This is because of their differing locations, their approaches to security, and more. Be sure to do your research before choosing a facility so you have peace of mind that it’s well-run and secure. Don’t choose a unit without figuring out how much space you actually need. Many people rent units and end up paying for unused space month to month. Since you have a number of options when it comes to a unit’s size, take the time to figure out the unit dimensions that will work best for your needs. Additionally, follow these tips when it comes to storing your items. Disassemble large pieces of furniture if possible. If you’ll be coming and going from your unit on a regular basis, place the items you use regularly at the front of the unit for easier accessibility. Maximize the space. For example, if you’re storing a dresser, don’t leave the drawers empty. For your convenience, U-Lock-It Storage has a storage unit calculator that will help you pick the right sized unit. No matter how secure a storage unit facility may be, it’s still a good idea to insure your items, especially if you’re choosing to store something that’s valuable. Storage unit insurance is a worthwhile investment since facilities are not liable for your belongings. Especially in Alabama, it’s important that you invest in climate controlled storage if you’re planning to store any items that could be damaged by major fluctuations in temperature. The upcoming months are extremely hot here. Protect your belongings with a climate controlled unit.